Ladies and gentleman! We are proud to present the second part of the probably best arpegiator pack ever! Crazy Arps 2! Great vibe, incredible hardware sound, extremely melodic, prepared with attention to details! You will find here 52 synthesizer arp sounds in Trap / South style ready to be an inspiration for Your music! Over 300 Mb multiformat material, definitely a must have in music production! 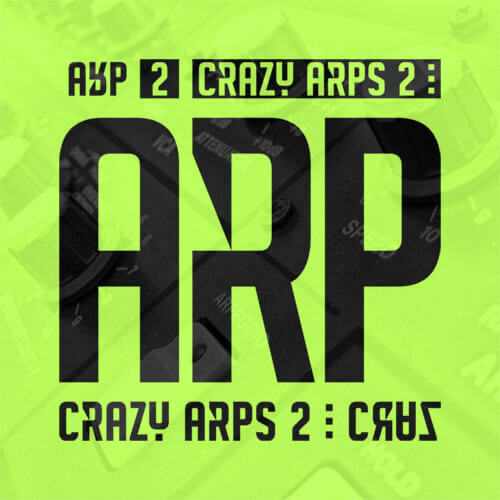 ‘Crazy Arps 2’ contains 52 arpegiator loops, 303 Mb, multi-format material (24-bit WAV, 24-bit AIFF and 16-bit WAV) ready to use in your favorite sampler or sequencer, both hardware and software, including: Logic, GarageBand, Soundtrack, Digital Performer, Sony Acid, Ableton Live, Adobe Audition, Cakewalk Sonar, Pro Tools, Emagic EXS24 and many more.